Minimize chaos and drive performance improvement at every size and stage in your growth. 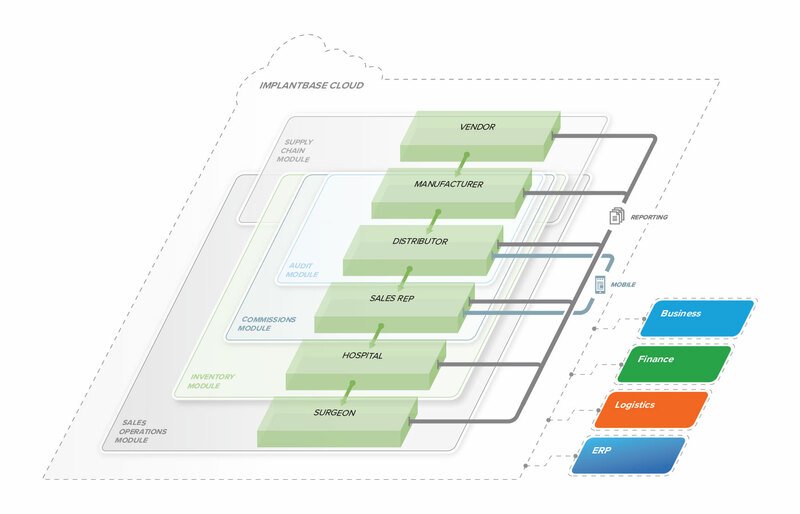 Specifically designed for orthopedic medical device companies, ImplantBase’s holistic platform dramatically reduces chaos to improve operational performance. The industry-leading, all-in-one cloud platform unifies your operations to enhance productivity, unlock capital, and encourage innovation. Most companies can grow to $100M in revenue using just ImplantBase and QuickBooks. And, when you decide you’re ready for a comprehensive ERP, ImplantBase can take you further. Comprehensive Control to Digitally Transform Your Operations For Extraordinary Business Results. Automate processes, reduce errors, and gain visibility into all field sales organizations. Track, locate, and analyze inventory and its performance in real time. Meet demand with supply and increase inventory utilization. Accelerate order-to-cash processes and identify opportunities to unlock working capital. Keep all players in a single system with the same point of truth—from the back office to the field. Gain powerful real-time visibility and insights. Enable distributors’ and reps’ mobile access to our comprehensive platform—anywhere, anytime, on any device. Accessibility drives adoption. Continual enhancements are released to all users. Use advanced reporting tailored for actionable insights to drive operational performance and improved efficiency. The medical device industry is evolving rapidly. Companies who seize the opportunity to digitally transform their operations will be positioned to successfully evolve with it. Are you ready? We can help.